We recognize that comments are a core part of the YouTube experience and how you connect with and grow your audience. At the same time, the important steps we’re sharing today are critical for keeping young people safe. Thank you for your understanding and feedback as we continue our work to protect the YouTube community. Over the past week, we disabled comments from tens of millions of videos that could be subject to predatory behavior. These efforts are focused on videos featuring young minors and we will continue to identify videos at risk over the next few months. Over the next few months, we will be broadening this action to suspend comments on videos featuring young minors and videos featuring older minors that could be at risk of attracting predatory behavior. A small number of creators will be able to keep comments enabled on these types of videos. These channels will be required to actively moderate their comments, beyond just using our moderation tools, and demonstrate a low risk of predatory behavior. We will work with them directly and our goal is to grow this number over time as our ability to catch violative comments continues to improve. While we have been removing hundreds of millions of comments for violating our policies, we had been working on an even more effective classifier, that will identify and remove predatory comments. This classifier does not affect the monetization of your video. We accelerated its launch and now have a new comments classifier in place that is more sweeping in scope, and will detect and remove 2X more individual comments. No form of content that endangers minors is acceptable on YouTube, which is why we have terminated certain channels that attempt to endanger children in any way. Videos encouraging harmful and dangerous challenges targeting any audience are also clearly against our policies. We will continue to take action when creators violate our policies in ways that blatantly harm the broader user and creator community. Please continue to flag these to us. We know that many of you have been closely following the actions we’re taking to protect young people on YouTube and are as deeply concerned as we are that we get this right. We want to update you on some additional changes we’re making, particularly in regards to comments, building on the efforts we shared last week. strikes to a new, simpler system. We’ve worked with creators to understand what’s working and what’s not, and you told us that consistent enforcement, clear policies, and transparency about the impact of a strike are most important. So we’re introducing more opportunities for everyone to understand our policies, a consistent penalty for each strike, and better notifications. Although 98% of you never break our Community Guidelines, they are vital to making YouTube a strong community and balancing freedom of expression with the freedom to belong. That’s why—from our earliest days—we’ve relied on a three-strikes system and email notices to give everyone a chance to review and understand what went wrong before they face more severe consequences. And it works: 94% of those who do receive a first strike never get a second one. We want to give you even more opportunities to learn about our policies, so starting February 25, all channels will receive a one-time warning the first time they post content that crosses the line, with no penalties to their channel except for the removal of that content. This is to make sure everyone takes the time to learn about our Community Guidelines, and then can quickly get back to creating great content and engaging with their audience in a way that complies with our rules. Along with this new warning, we are also expanding the policy resources available in our help center to give more detail about what behavior will result in a strike. This includes new, detailed examples of the kind of content we commonly see that breaks our rules. We’re also making the penalty for violating our Community Guidelines the same wherever it happens. While most strikes result from videos, our Community Guidelines cover all content on YouTube, including stories, custom thumbnails, or links to other websites included in a video’s description or infocard. As mentioned, everyone who uploads content to YouTube will now receive a warning the first time their content crosses the line. Although the content will be removed, there will be no other penalty on the channel. There will be only one warning and unlike strikes, the warning will not reset after 90 days. The first strike will result in a one-week freeze on the ability to upload any new content to YouTube, including live streaming, and other channel activities. Strikes will expire after 90 days. The second strike in any 90-day period will result in a two-week freeze on the ability to upload any new content to YouTube. The third strike in any 90-day period will result in channel termination. Finally, we always want to make it clear why a strike occurred, what it means for your channel, and the next steps that are available—including appealing the decision in case you think it was a mistake. To that end, we’re making our email and desktop notifications clearer, and they will provide more details on which policy was violated. We are also adding new mobile and in-product notifications to make sure you have all the important information about a strike available at a glance. 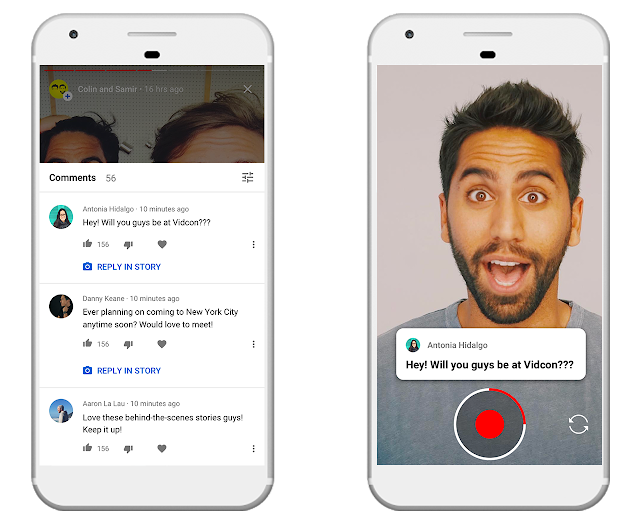 These updates are part of our ongoing work to make sure that YouTube is the best place to listen, share, and create community through your stories. Our strikes system is an important way for us to help creators and artists understand when they’ve crossed the line by uploading content that undermines that goal, and your feedback has helped to make this system work better for the entire community. We’ll build on this and all the progress we’ve made over the last year by continuing to consult with you as we strengthen enforcement and update our policies. We want to make sure they're easy to understand and address the needs of the global YouTube community. We’re updating the way we give Community Guidelines strikes to a new, simpler system. We’ve worked with creators to understand what’s working and what’s not, and you told us that consistent enforcement, clear policies, and transparency about the impact of a strike are most important. So we’re introducing more opportunities for everyone to understand our policies, a consistent penalty for each strike, and better notifications. But one record we definitely didn’t set out to break was the most disliked video on the Internet. Even at home, my kids told me our 2018 Rewind was “cringey.” We hear you that it didn’t accurately show the year’s key moments, nor did it reflect the YouTube you know. We’ll do better to tell our story in 2019. Last year, we also saw how the bad actions of a few individuals can negatively impact the entire creator ecosystem, and that’s why we put even more focus on responsible growth. We implemented a number of product and policy changes, from information cards on common conspiracies and breaking news shelves from authoritative sources, to consequences for creators who bring harm to that crucial trust you’ve built up with users and advertisers. This year, I have three priorities: 1) Supporting creator and artist success; 2) Improving communication and engagement; and 3) Living up to our responsibility. Read on for an update on each. We know how vital monetization is to creators, and recognize it remains a pain point for many of you. Just as a reminder, we started last year with many of our largest advertisers paused because of brand safety concerns. We worked incredibly hard to build the right systems and tools to make sure advertisers feel confident investing in YouTube, and most are now back. On the creator side, we’ve been improving our classifiers so that we make the right monetization decision for each video. We’ve increased the accuracy of the monetization icon by 40% and are also making it easier for creators to appeal when we make the wrong call. But there’s still more work to do on both of these fronts and we’re committed to getting it right for everyone. We’ve also been building new ways for you to make money beyond advertising. We expanded YouTube Music and YouTube Premium and made both available in 29 countries, up from just five at the beginning of 2018. We’ve also added other solutions to help you diversify revenue, including Super Chat, Channel Memberships, Merchandise, and Ticketing. Last quarter, we opened up Merch shelf access to all eligible creators globally. We also continued to make channel memberships more broadly available, lowering the subscriber threshold from 100,000 to 30,000. 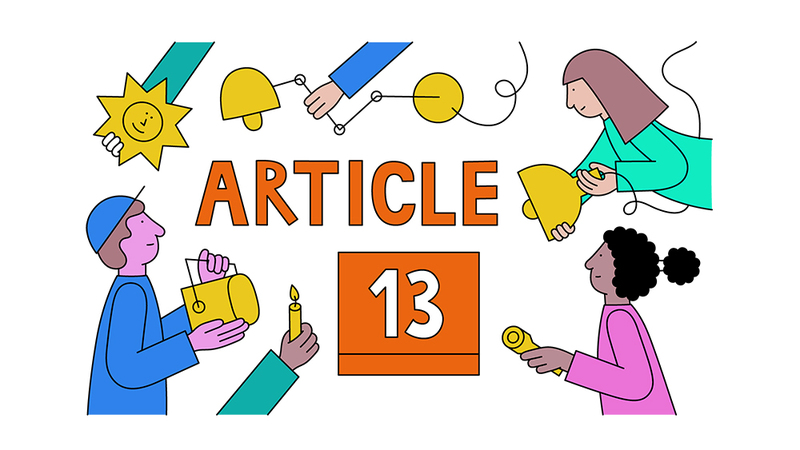 On the issue of Article 13: A big thank you to all the creators who helped bring attention to the unintended consequences of the proposal—one that threatens the livelihoods of so many creators in Europe and around the world— through your videos, stories, op-eds and shared ideas. You’ve proven to be an influential voice in the debate. Your videos were viewed hundreds of millions of times and a near-record 4.6 million people signed the petition at Change.org. That awareness you created was critical, since it was clear to me last year when meeting with policymakers in Strasbourg that many of them had heard from large companies, but lacked an understanding of the European creator economy’s impact and size. I shared with legislators the huge economic benefit you all bring to your home countries. In France alone, we have more than 190 channels with more than 1 million subscriptions, with the number of E.U. channels reaching that milestone up 70% year over year. The debate around Article 13 remains ongoing. This could be decided in the next few weeks, so please keep speaking out on this critical issue for all YouTube creators. In 2018, we took steps to communicate better with you. We introduced YouTube Studio, a new home base which will be available to all creators this year, and are constantly adding new features to it. Some of the latest include Known Issues, News widgets, and new metrics like thumbnail click-through rates and Merch options. Many of you told us you prefer hearing from us through social posts, so we set a goal to be more responsive through those channels. 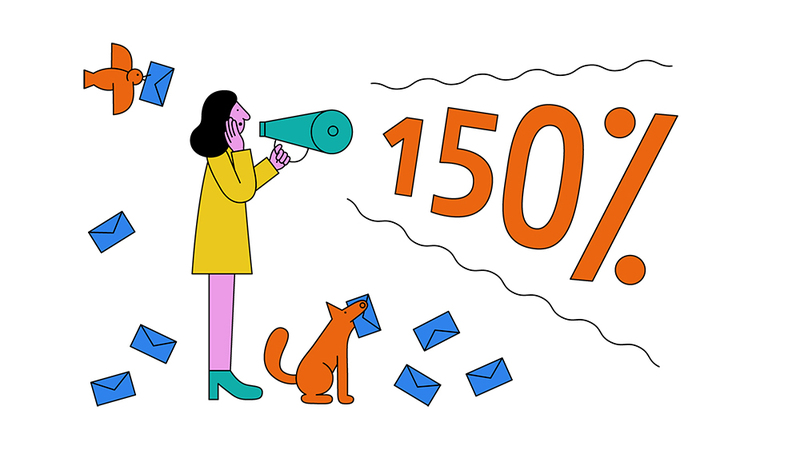 In the last year, we’ve increased our number of responses by 150% and made our response times 50% faster. But we also love meeting you in person. In 2018, we held more than 480 events with over 18,000 creators—from Fanfests, to Creator Summits, to workshops. We even had the opportunity to sit down with some of you for your channels. If you haven’t already seen it, I highly recommend Luisito’s chat with our chief product officer Neal Mohan. Watch this space, as we will invest even more in communication this year. And it’s the engagement between creators and viewers that truly sets YouTube apart from traditional media like TV. Our goal is to grow this in new ways. One addition last year was the Premieres feature that allows creators to generate a shared experience with fans around new videos. Creators like Lele Pons and Emma Chamberlain used Premieres on their way to racking up millions of views. At its peak, Ariana Grande’s “thank u, next” had 829,000 unique viewers watching and interacting simultaneously, making this video the biggest Premiere ever on YouTube. I’m sure we’ll see even more of these moments in 2019. We also recently made Stories available to all eligible creators with more than 10,000 subscribers, and opened up Community posts to all channels with more than 1,000 subscribers. Billions of comments were made on YouTube in 2018, and for a better experience, we improved comment ranking, added @mentions in comments and introduced a feature where creators can hold inappropriate comments for review in 10 languages. It is my personal mission to ensure that we're living up to our responsibilities to our users, as well as to you, the creator community. We made a lot of improvements here in 2018 but recognize there’s still much more to do. First, more and more people are coming to YouTube for news. Not only have we made changes to ensure they’re having a good experience when they visit, but we’ve prioritized supporting the journalism community. One key effort is the Google News Initiative YouTube innovation funding program, announced last summer. Hundreds of organizations submitted proposals and we awarded grants to 87 recipients to help them build up their video capabilities. We also expanded our breaking news shelf and top news shelves to 31 countries and look forward to expanding them even further this year. Another focus was on more quickly and effectively removing the content that violates our Community Guidelines, as shown in our report. But we know we need to more clearly communicate about the policies that impact you. 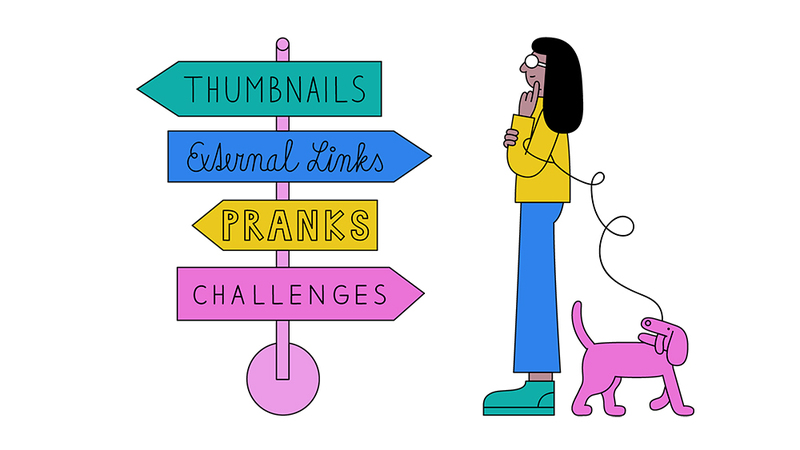 Most recently we updated guidance to creators about our policies on custom thumbnails, external links, and pranks and challenges. And our Creator Insider channel covered how we address profanity. Look for more of these types of updates in the months to come. Finally, we’ve seen the incredible momentum around learning and education on YouTube and we’re investing to support its growth. Last year, we introduced the Learning Fund and awarded grants to 65 creators chosen from more than 1,000 submissions. Recipients will be developing multi-session learning content for YouTube, so stay tuned for more details on when that will roll out. Also, keep an eye out for our first EduCon of 2019, which is coming up in the U.K. in February. We hosted four EduCon conferences around the world in 2018, engaging with nearly 450 creators in the U.S., Mexico, Brazil and India. Personally, I depended on the learning content more times than I can count. With YouTube’s incredibly busy year, I turned to the platform for some of my workouts and have a lot of appreciation for the yoga YouTubers. The work of all educational creators has brought incredible enrichment to so many lives in so many ways. All in all, 2018 was a year of change, challenges, and opportunity. This year will undoubtedly be more of the same. Keep the feedback coming—even though sometimes it’s hard to read—it’s your questions and comments that help make YouTube the very best video community for all of us. The creator community is what inspires me daily and makes this platform so special...so thank you again. I’m excited to share some thoughts about 2019 and the year ahead, but first wanted to take a moment and reflect on what was an unprecedented 2018. While we experienced tremendous growth across the platform, it was also a time of some tough growing up. 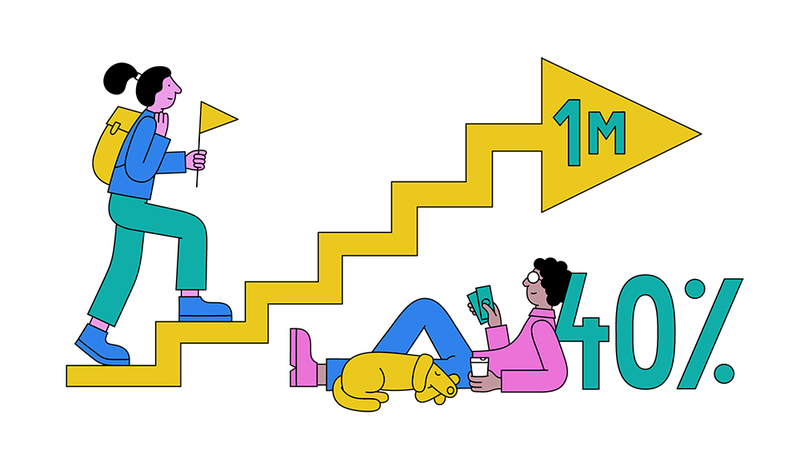 First, some milestones that we hit: the channels with over one million subscribers nearly doubled in the last year, and the number of creators earning five or six figures in the last year grew more than 40%. You’re creating the next generation of media companies and we’re thrilled to see how much the YouTube creator economy is thriving. As a creator, you're always looking to strengthen your relationship with your audience. You bring them along on your travels, give them a backstage pass to one of your videos, or even a sneak peek at your upcoming video. Through testing the Stories format with a small group of you over the past year, we’ve seen you do just that, from FashionbyAlly giving updates on what’s coming next, to Colin and Samir bringing their fans into the creative process. We applied feedback that we got from you to build a product specifically designed with you, the YouTube creator, in mind. And starting today, we are excited to announce that we are rolling out YouTube Stories to all eligible creators with 10K+ subscribers. Creating with Stories is lightweight, easy, and fun. Stories will have the fun creation tools that you know and love. You can add text, music, filters, YouTubey stickers, and more to make your story uniquely you! To create a story, just open the YouTube mobile app, tap on the video camera icon, and select "Create Story." We’ve also added comments to Stories, so the entire community can be a part of the conversation. Your fans can comment, thumbs up and thumbs down comments, and you can heart comments. And all of the comment moderation tools that are available on video uploads will also be available on Stories. You can now also respond directly to a fan comment with a photo or video for the entire community to see! Once posted, Stories are available in the mobile app for 7 days to ensure that your fans have a chance to see it. Stories may show up to both subscribers on the Subscriptions tab and non-subscribers on Home and in the Up Next list below videos. We’re excited to see how you continue to use Stories to reach out to your community. Give it a try today! , to diving into iconic pieces of art, to a behind-the-scenes studio tour with a TV super star, you can transport your viewers to experience moments as if they’re actually there. We’ve heard that you want to make and see even more immersive videos on YouTube. That’s why we’re continuing to expand the ways anyone can create and watch VR content. With all the great content that’s available on YouTube today, we want to continue our effort to bring the YouTube VR app to everyone with a VR headset. Starting today, the app will be available on Oculus Go headsets via the Oculus Store. Last year we introduced VR180, a new video format that focuses on what’s in front of the camera while delivering a 3D effect in a VR headset. By focusing only on the 180-degree view of what’s in front of the camera, it made VR video production easier for creators like you, encouraging more VR videos than ever before. Since then we’ve introduced new tools to make this type of video creation even easier. We launched the VR180 Creator Tool that makes it faster to process footage, add metadata and publish. The tool is available on MacOS, Linux and now on Windows. With the latest editing tools from Adobe, it’s also significantly easier for you to edit, add effects and publish your content. And with new VR180 capable cameras from Kandao and Vuze, you now have more options for capturing VR180 to complement cameras from Z-Cam and Lenovo. Spatial audio can help make haunted houses more scary and imaginary video game worlds more real. That’s because it matches realistic sounds and picture together for a more immersive experience. We’ve recently added support for head-locked audio, which means that you can add narration and background music that will sound the same no matter where you look. VR videos unlock a world of experiences. With new and easier ways to create and watch VR content, we look forward to seeing what stories you tell, locations you transport viewers to and experiences you uncover. Posted by Erin Teague, VR Product Lead, who recently watched "Alvin Ailey's Judith Jamison Speaks on Cry in VR180 | Black Girls Rock!" VR videos deliver a powerful way to share and experience the world. From going behind the curtain with Cirque du Soleil, to diving into iconic pieces of art, to a behind-the-scenes studio tour with a TV super star, you can transport your viewers to experience moments as if they’re actually there. Creativity has long been a guiding force in my life, which is why I jumped at the opportunity to be YouTube’s chief executive nearly five years ago. Creators have used YouTube to share their voices, inspire their fans, and build their livelihoods. Kurzgesagt — In a Nutshell recently became the number one channel in Germany by creating videos that help others fall in love with science. Artists like Dua Lipa and Ed Sheeran reached fans on YouTube long before they were discovered by a label. And acclaimed musicians like Elton John have used our site to breathe new life into iconic songs. We have worked hard to ensure creators and artists are fairly compensated for their work. In the last year, YouTube paid content owners across the EU €800m. We have also paid the global music industry more than €1.5bn from advert-generated revenue alone. However, this creator economy is under threat from a section of the EU’s efforts to revise its copyright directive, known as article 13, which holds internet companies directly responsible for any copyright infringement in the content shared on their platform. While we support the goals of article 13, the European Parliament’s current proposal will create unintended consequences that will have a profound impact on the livelihoods of hundreds of thousands of people. The parliament’s approach is unrealistic in many cases because copyright owners often disagree over who owns what rights. If the owners cannot agree, it is impossible to expect the open platforms that host this content to make the correct rights decisions. Take the global music hit “Despacito”. This video contains multiple copyrights, ranging from sound recording to publishing rights. Although YouTube has agreements with multiple entities to license and pay for the video, some of the rights holders remain unknown. That uncertainty means we might have to block videos like this to avoid liability under article 13. Multiply that risk with the scale of YouTube, where more than 400 hours of video are uploaded every minute, and the potential liabilities could be so large that no company could take on such a financial risk. We have already taken steps to address copyright infringement by developing technology, like our Content ID programme, to help rights holders manage their copyrights and earn money automatically. More than 98 per cent of copyright management on YouTube takes place through Content ID. To date, we have used the system to pay rights holders more than €2.5bn for third party use of their content. We believe Content ID provides the best solution for managing rights on a global scale. The consequences of article 13 go beyond financial losses. EU residents are at risk of being cut off from videos that, in just the last month, they viewed more than 90bn times. Those videos come from around the world, including more than 35m EU channels, and they include language classes and science tutorials as well as music videos. We welcome the chance to work with policymakers and the industry to develop a solution within article 13 that protects rights holders while also allowing the creative economy to thrive. This could include more comprehensive licensing agreements, collaboration with rights holders to identify who owns what, and smart rights management technology, similar to Content ID. Platforms that follow these rules, and make a good effort to help rights holders identify their content, shouldn’t be held directly liable for every single piece of content that a user uploads. We ask policymakers to find a solution that protects rights holders and creators alike, and listen to the growing number of EU voices, including some member countries, who agree there’s a better way forward. This op-ed originally appeared in the Financial Times. , J Balvin and Shawn Mendes in our YouTube Artist Spotlight series over the last few months. And we launched 13 YouTube Originals in the last quarter, including three in Germany and two in France. All of this is possible because of the creative economy powered by you. However, this growing creative economy is at risk, as the EU Parliament voted on Article 13, copyright legislation that could drastically change the internet that you see today. Article 13 as written threatens to shut down the ability of millions of people -- from creators like you to everyday users -- to upload content to platforms like YouTube. And it threatens to block users in the EU from viewing content that is already live on the channels of creators everywhere. This includes YouTube’s incredible video library of educational content, such as language classes, physics tutorials and other how-to’s. Please take a moment to learn more about how it could affect your channel and take action immediately. Tell the world through social media (#SaveYourInternet) and your channel why the creator economy is important and how this legislation will impact you. Please read on for an update on our priorities for 2018. As I’ve written to you before, we’ve made a conscious effort to communicate with you more in the place where your conversations are taking place--social and video. Based on your feedback, we’ve also increased the number of product updates or “heads up” messages regarding changes to YouTube, including smaller tests or experiments, on our @TeamYouTube handle and the Creator Insider channel. And we continue to share helpful tutorials and inspiring creator stories on our YouTube Creators channel, formerly the Creator Academy channel. We’re working to increase these efforts. I’m posting more videos to my own channel and the Creator Insider channel just posted their 100th video! We’ve heard that you want communication from us in a simplified way and in one central location. To that point, we launched YouTube Studio, the new one-stop shop for platform news and product updates. This is the primary place for getting YouTube-related information, such as announcements about new features, creator academy videos and Creator Insider weekly news flashes. This easy-to-view dashboard is THE place you can go to find the latest news and will be the new homepage for all creators by end of the year. Finally, our leadership continues to meet face-to-face with creators around the world. Robert Kyncl and Neal Mohan spoke to creators from across Europe, the Middle East and Africa at the Creator Summit in Berlin. Robert continued his series of Creator Interviews with Caspar Lee in Berlin and Gautam Anand, Managing Director of YouTube APAC, sat down with Korean creator Dotty in Seoul. We saw incredible turn out at our Creator Summit in Seoul, with creators from across Asia Pacific, and, we look forward to hosting Latin American creators at our final 2018 Creator Summit in November. 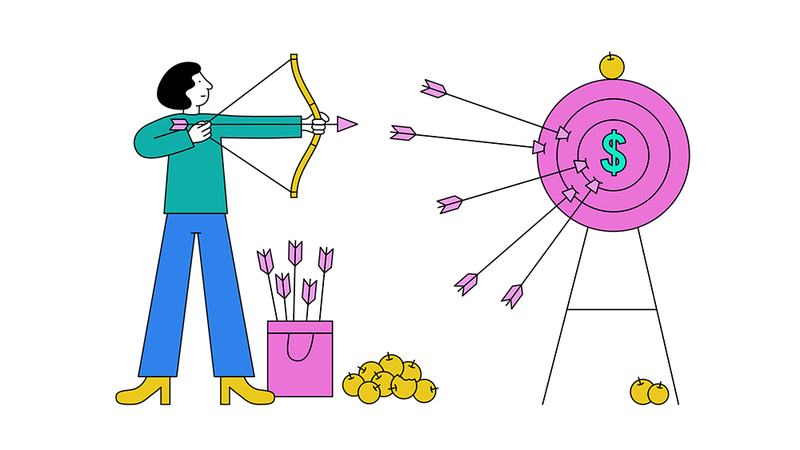 Monetization is the heart of your business. To that end, we released an update to our monetization systems this quarter, which improved the accuracy of monetization icons by 10%. In my last letter, I talked about our pilot to test a new video upload flow that asks creators to provide specific information about what’s in their video as it relates to our advertiser-friendly guidelines. Most creators in the pilot were able to accurately represent the content in their video, and it is providing more transparency to creators in terms of what type of content is suitable for ads. We hope to offer self certification to more creators before end of year and plan to expand broadly in early 2019. This summer, we announced Channel Memberships, and since then, we’ve seen thousands of creators take advantage of this feature. For instance, Wintergatan, creator of the Marble Machine, grew his revenue by more than 50% since adding channel memberships and is using it to fund his next generation Marble Machine and a World Tour. Gaming creator Markiplier increased his revenue by 20% and Comedy creator Mike Falzone tripled his YouTube revenue. We’ve also seen creators use Memberships to support creative endeavours, such as TriStar Gym offering exclusive Brazilian Jiu Jitsu technique videos and Ola Englund offering guitar lessons online to members. Because of this success, we're accelerating the roll-out of memberships to more channels and lowering the subscriber threshold from 100,000 to 50,000 subscribers. We plan to expand memberships to even more of you in the months to come. Over the past few weeks, we've hosted three special editions of our NextUp camps designed to support up-and-coming Black, Latino and women creators. We received more applications for this round than any other before it. If you missed your chance to apply this time, please stay tuned for the next round. We are hosting two more in Rio de Janeiro, Brazil and St. Petersburg, Russia and plan to announce more in the coming months. Since we announced Premieres this summer, creators have been using this new feature to generate more views, more engagement and more revenue for their channel. For instance, Twenty One Pilots premiered their new video My Blood to more than 75,000 fans who watched it together and engaged over live chat and comments. One of our top gaming creators, TheRadBrad, tried it out and told his fans in his live chat that “it was one of the coolest experiences in my 8 years on YouTube.” And Linus Tech Tips’ premiere of his recent tech reviews was one of his best performing videos. I’m happy to announce that premieres is now available to all creators. We recently introduced YouTube Giving, a suite of features that allow creators and nonprofits to raise funds for causes they care about directly on YouTube videos and live streams. While these features are currently in beta, we’ve seen creators use them to create inspiring impact. Hope for Paws raised over $100,000 in the first 10 days, and over 12 gaming creators have teamed up with St. Jude Children’s Research Hospital to raise over $125,000 throughout Childhood Cancer Awareness Month. Our hope is to expand these features soon to more creators so that they can give back and support causes they care about. Finally, we’re building a stronger gaming community on YouTube with features, such as our new Gaming Destination, Gaming Creator on the Rise and dedicated pages for over 80,000 games. We’ll also be retiring the standalone gaming app next year. We know this change impacts a lot of you, but it will allow gaming creators to have greater access to fans while still providing a unique gaming experience. One of our biggest priorities from a policy perspective has been investing in the news experience on YouTube and tackling misinformation. In close collaboration with many of our news partners, we've rolled out a number of changes to address them. For example, we have worked to make credible sources more readily available to users and rolled out breaking news and top news shelves in 23 countries. We also hosted the first YouTube News working group meeting at our headquarters and used this opportunity to listen to news organizations, academics, and creators on how we can improve news on the platform. Finally, we’re supporting journalism with technology that allows news to thrive, including an innovation fund to help news organizations sustainably build their video capabilities. We know we have more to do to combat misinformation, and we will continue to invest in innovative solutions to address this. We also continue to provide updates to our YouTube Community Guidelines enforcement report, which you can read here. Learning is one of the best parts of YouTube. In recent months, BookTubers came together for their annual BookTubeAThon, during which creators read books, shared their thoughts via their channels and inspired people around the world to do the same. We also saw “Study with me” videos gain popularity--motivating users to persevere through their own study sessions. We’re committed to empowering both the creators who want to share their knowledge with the world and the users who come to our platform to learn--from home improvements to the basics of physics to grammar lessons. Today I’m happy to announce we’re investing $20 million in YouTube Learning, an initiative to support education focused creators and expert organizations that create and curate high quality learning content on YouTube. Part of this investment includes a Learning Fund to support creators who want to build multi-session learning content for YouTube. If you’re interested in this program, please fill out this form. As part of efforts to support creators who are sharing their knowledge on the platform, we also launched Learning, a new channel of curated tutorials, DIY videos, skill-based playlists, and other high-quality educational content from a range of creators. And we hosted three YouTube EduCon gatherings in Los Angeles, Mexico City and Rio de Janeiro. These conferences were great opportunities for Edutubers to network and learn new skills, and we’re planning to hold more conferences in new places in the upcoming year. At YouTube, we hope to give back. We’ve worked with Lily Singh to support girls’ education and fight violence against children, and we teamed up with Priyanka Chopra, BB Ki Vines, and MostlySane to encourage girls’ literacy and education around the world. Please take a moment to watch and support theses causes. Thank you for making YouTube an incredible source of creativity, knowledge and inspiration. As always, keep the feedback coming. I’m listening. 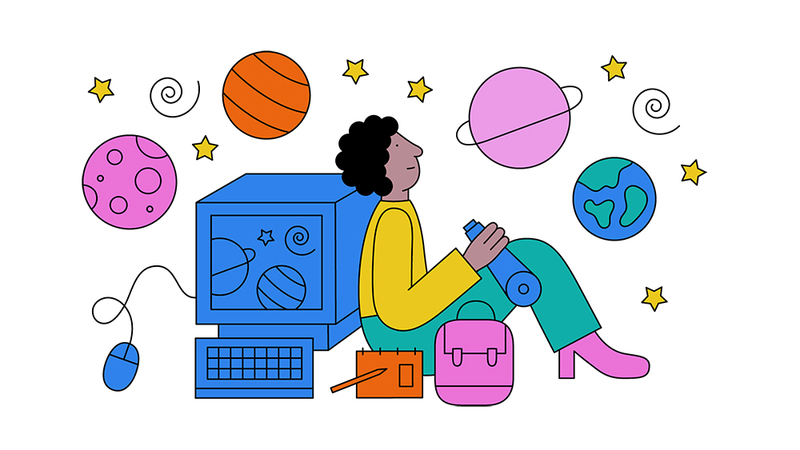 Since 2005, YouTube has transformed from a single video at the zoo to a global video library where billions of people turn to each day for knowledge, creativity and connection. Today, YouTube is a diverse community of creators who are building the next generation of media companies and drawing fans from every corner of the world. You are making history and changing the way people watch video, engage with each other and share their voice. I feel honored to help you do this, and I continue to be inspired by what I see. In the last year, the number of channels with over 1 million subscribers has increased by 75%. Each month, more than one billion fans come to YouTube to be part of music culture and discover new songs and artists. Building on that momentum, we’ve expanded YouTube Music to the UK, Ireland, Germany, Austria, France, Italy, Spain, Sweden, Norway, Finland, Russia, Canada, Denmark, Belgium, the Netherlands, Luxembourg and Brazil. We also rolled out three new stories on Janelle Monáe, J Balvin and Shawn Mendes in our YouTube Artist Spotlight series over the last few months. And we launched 13 YouTube Originals in the last quarter, including three in Germany and two in France.